While I often talk about the struggle we have as premature and NICU moms, there is another person who is a big part of this journey. 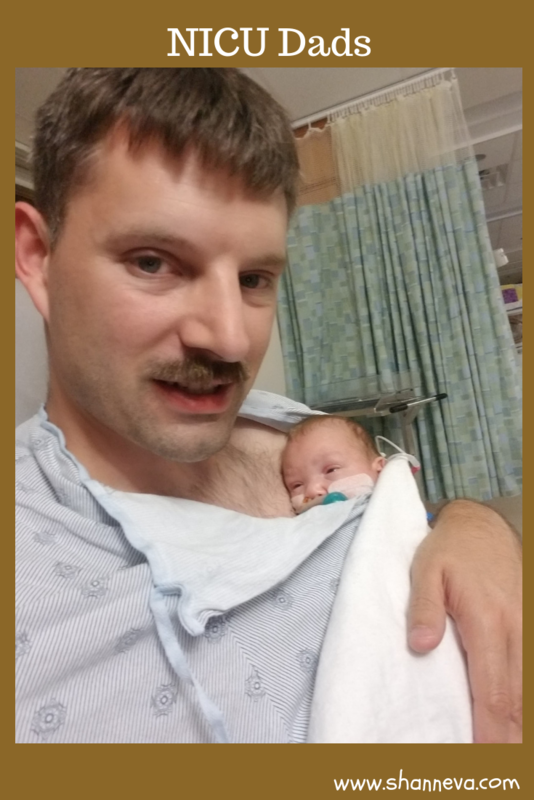 NICU dads play such an important role that is sometimes overlooked. Even though it is not their body, watching the mother of your child go through pain, both physical and mental, is excruciating. Not being able to do anything to stop a pregnancy from having complications or your baby from coming early is just as heartbreaking for the father. Then, they must also watch their baby fight their way through the NICU. As you’ll read today, NICU dads can play a very important role. They can serve as a source of strength, and also as an advocate. While it wasn’t easy, it helped to talk to my husband when we made decisions during my pregnancy,and during the twins’ NICU stay. When I got very emotional about things, it helped to have him there to listen. Today, you’ll meet one of those amazing NICU dads. He helped his wife fight and get the care they all needed. Please meet Tyberius, as told by his mom, Ashley. 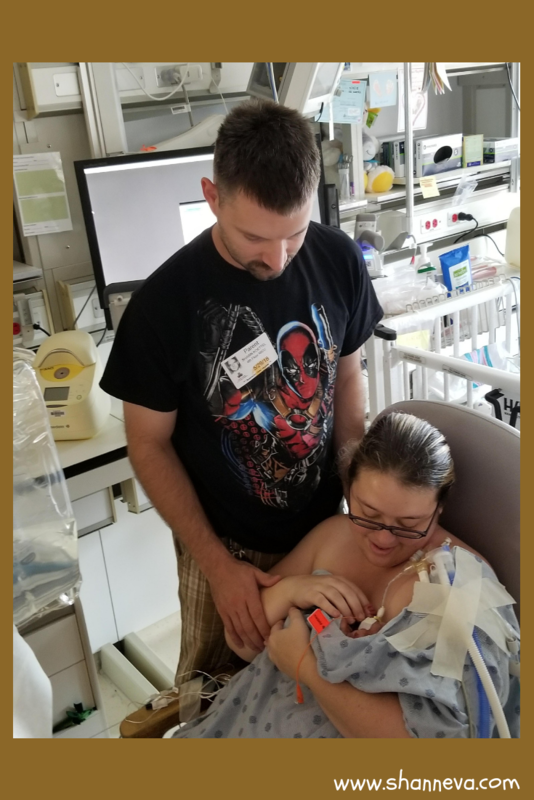 Tyberius was born May 18, 2018 at 26 weeks, 6 days gestation. He was 2 lbs 1 oz and 13.4in long. At 18+6 weeks gestation we found out there was 0 amniotic fluid around him (I had increased discharge around 17 weeks but thought it was just normal discharge… how wrong I was). On top of PPROM/anhydramnios, it was also found that I had placenta previa(the placenta is lying low next to or covering the cervix) and percreta (the placenta attaches too deeply to the uterine wall) with possible bladder invasion. I already had a er diagnosis. There was also my large subchorionic hematoma, as well as my history of 5 previous c-sections. To say I became high risk is an understatement. 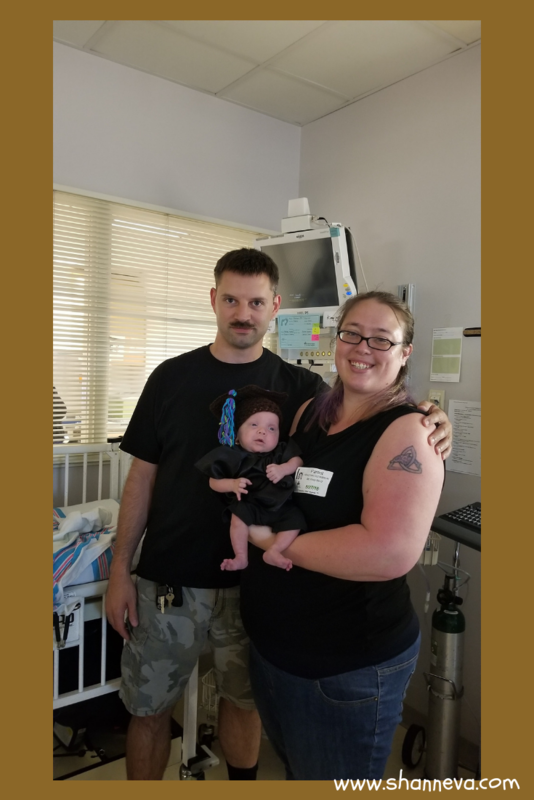 I was encouraged to terminate and have a hysterectomy immediately, as I was risking my life for a baby who had a 1% chance of survival no matter how long I carried him. If he did beat the odds, he would either die shortly after birth or be severely disabled. Ty spent exactly 100 days in the NICU at CHKD Norfolk. The absolute hardest part was not being able to be there with him all the time. 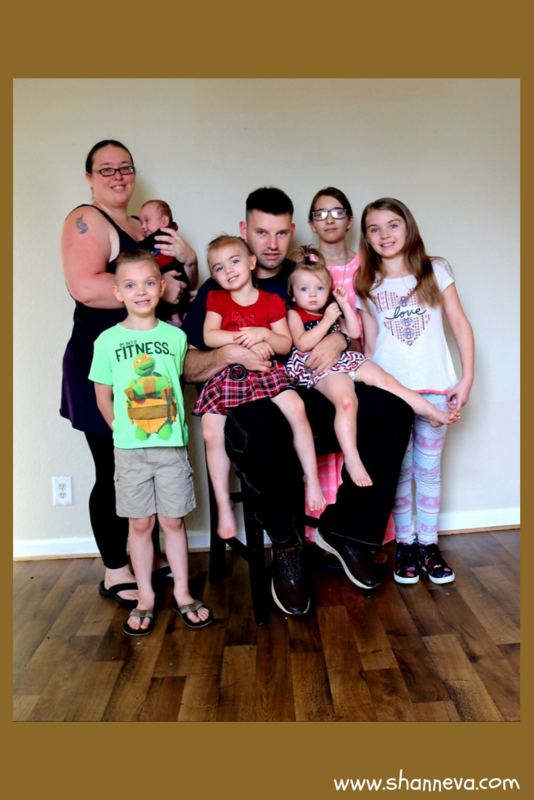 We visited usually every other day, but we had 5 kids at home and a limited support system. So, it was a lot of juggling and limited time with him. 3. Do you know what caused your premature birth? The decision to deliver Ty was made when I started having excruciating pain the day before. I remember calling my nurse (who is now a close friend) and not being able to get ahold of her right away. Despite my pain, I was still a very patient and quiet person. So when she came to do my NST an hour later, she was shocked to see me doubled over in pain. My nurse realized a miscommunication between her and the other nurse had happened. I spent the day and half the night in 10/10 pain with them not being able to give me anything for it. The next morning I delivered. I was rushed to a main OR and placed under general anesthesia. Due to my placenta previa and percreta, I needed to be close to a trauma team, blood bank and have a lot of room for a lot of people to be in there. The doctors still aren’t sure why I was in pain. The belief is that I was developing an infection, in preterm labor, or my placenta was abrupting. Or, maybe all 3. 4. How are you and your baby doing now? Ty is now 4 months old. He has been home for almost a month. Ty is still followed by a lot of doctors. His eyes are behind and he still has stage 1 ROP. We see an eye doctor every 2 weeks. His first pulmonology appointment is this week, as he still has RDS (Respiratory Distress Syndrome,) and pulmonary hypoplasia (incomplete development of the lungs). 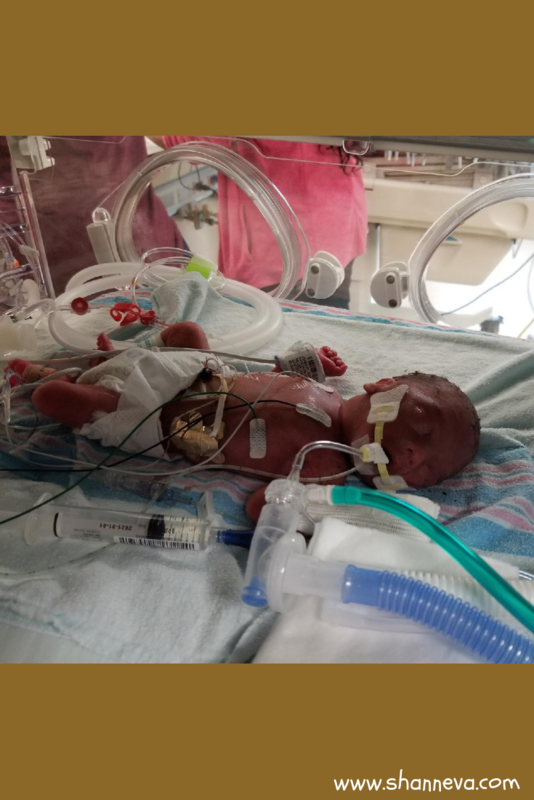 Ty will see cardiology soon, has his first NICU grad clinic appointment this week and is being closely followed by peds due to slow weight gain. 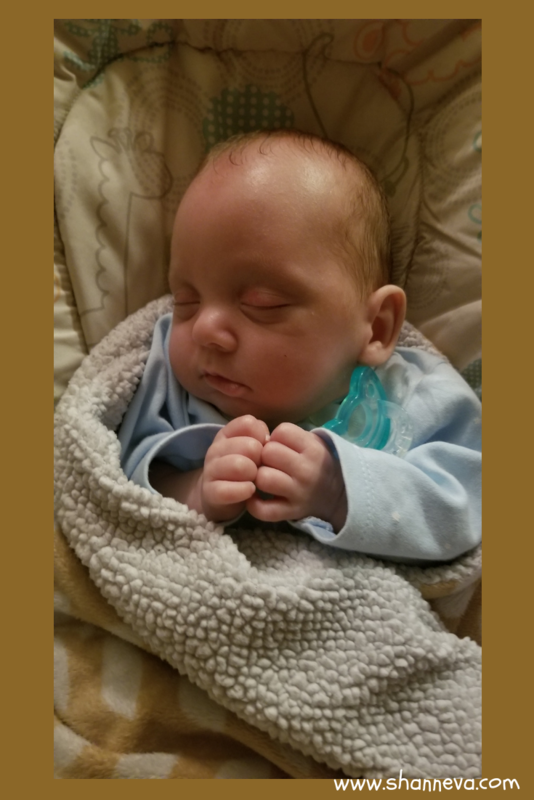 He will have a head and spinal ultrasound, a repeat newborn screening, and synagis soon. Ty now weighs 7 lbs 6.7 ozs and is 19.5inches long. He is on track for his adjusted age, but obviously behind on his actual age. The rest of the family is adjusting slowly. It’s been a very stressful 9 months for all of us. Things change a lot in our house very quickly. 5. 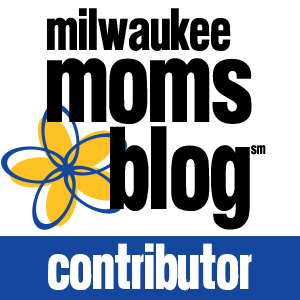 What advice do you have for other preemie parents? My best advice is either be your kids advocate or find a strong one to help. My husband was ours. He pushed for things a lot harder than I did and stood up for things better than I could. Hold your baby as much as you can. Always know that faith, hope, prayers and good thoughts can be just as healing as physical medicine. Thank you so much to Ashley for sharing her story and sweet Ty with us. It’s so hard to never have the exact answers when you’re dealing with all those different factors. I am so happy the doctors were wrong about amazing Ty.